It is important to perform routine maintenance on your car if you want to keep it running properly. There are certain tasks that most car owners focus on throughout the year; for instance, having the tires rotated and inspected on a regular basis is a priority. The A/C unit is often forgotten, but it is an essential part of the vehicle as well, particularly when the temperatures start to rise in Utah during June and July. You want your car’s air conditioning system to work properly when you need it most. As a result, it is important to give it a little attention during the winter and spring. Use the tips included here to help keep your A/C in good working condition. Temperatures in Utah tend to run cool in the spring. You may not even think of using your air conditioning in March or April, but it is a good idea to turn it on for a few minutes each week, even if you don’t need to. Doing so helps the compressor stay in good condition. Just turn up your fans and make sure the air is as cool as possible during this process. It’s important to do this year-round, even during the winter. You may already run your A/C system without realizing it; because the system can dehumidify the air, many vehicles turn it on when you activate the defrost. However, if that isn’t the case for your car, make sure you turn on your A/C when you are defrosting the vehicle for best results (and to keep your A/C in good working order). If your filter is dirty, it keeps air from flowing through the vehicle properly. Depending on the age of your car, it should be fairly easy to check the filter and swap it out if necessary. For example, if your car is only a few years old, the filter should be behind the glove box. However, there are some vehicles where you can’t get to the filter easily. In that case, it may be best to bring the car into a professional to have it looked at. It is not unusual for the cooling system to dry out over the winter, particularly if you have been using the heat on a regular basis. As a result, you should always check the refrigerant level in the spring. Keep in mind that refrigerant is a substance that should be dealt with carefully, particularly if your vehicle is several years old. 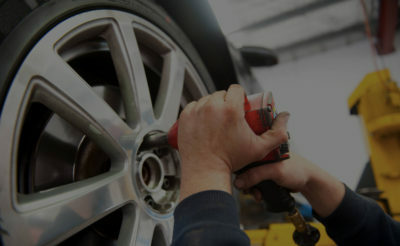 At Ethan’s Honest Automotive, we are happy to take care of this task for you. There are several ways to determine whether the A/C system needs attention from an automotive professional. For example, moisture and ice buildup is a problem. It is also an issue if you turn on the air conditioning and hear a strange sound that wasn’t present before. Finally, if the air doesn’t feel as cool as you remember from last summer, there is likely a problem. It’s not hard to maintain your car’s air conditioning system, but it is something you need to start thinking about. If you are worried that something might be wrong, get in touch with us at Ethan’s Honest Automotive. 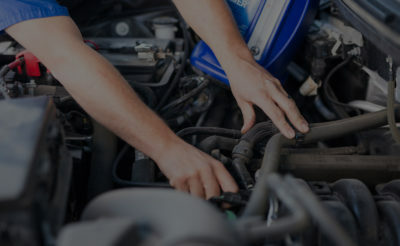 We’d be happy to look over your vehicle to ensure that everything is working properly.